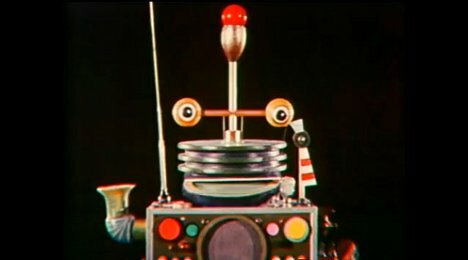 We modern humans may joke about the impending robot takeover of Earth, but we still entrust much of our lives to computers. Our medical and financial records are stored on computers and we even trust machines to tell us how to get from one point to another. But back in the dawn of the information age, humans were a lot more intimidated by computers. They were seen as ticking time bombs – as dangerous servants that would eventually turn on us, their masters. Leave it to Jim Henson to defuse that fear and turn it into humor. Henson was commissioned to make a short film for a 1963 AT&T seminar. The subject: the growing tension between humans and robots. Just a few years after bringing the Muppets to life, he applied his genius to this little robot. The resulting short is humorous but poignant, and it contains a very important lesson: humans are in control of the machines, not the other way around. The cute video surfaced recently on AT&T’s YouTube channel and gives us a rare glimpse at the non-Muppets mind of puppetry legend Jim Henson.